As a board-certified orthopaedic surgeon, I see men of all ages and body types and often get asked for fitness advice. I advise that as we age, there are unique challenges to staying in shape. So as GNC and the GNC Medical Advisory Board celebrate Men’s Health Month throughout June, I wanted to share just a few of the top fitness tips that I share with my own patients, family and friends. Visit our Medical Advisory Board webpage for my full top 10 list of tips in this month’s Doctor’s Corner and be sure to check out all the great content dedicated to helping men everywhere LIVE WELL. It’s not just about cardio - We all know that we need to exercise, so I’m not going to sit here and tell you that you just have to exercise regularly to stay in shape. Cardiovascular exercise is great for heart health and weight loss and should be a part of any exercise routine. However, weight or resistance training is often felt to be an optional addition to your cardio program. I beg to differ. I think weight training is an essential component to staying in shape. Weight training stimulates muscle growth and your muscle is the metabolic currency that burns fat, improves insulin sensitivity and supports your bones and joints. A proper weight training program can improve your strength and protect you from injury. 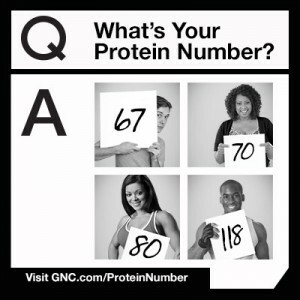 Eat your protein – I can’t overemphasize the importance of having adequate protein in your diet. Protein provides your body with essential amino acids that are used as building blocks for your muscle and other body tissues. Protein helps you build tissue to recover from exercise and injury. When your protein intake is below your requirements, your body has a hard time recovering from exercise and other stressors. If you are a healthy weight-training athlete, you should consume up to nearly 1g per pound of bodyweight! This can be hard to get as food with a busy lifestyle. I recommend having whey protein available to you in the form of a powder in a shaker cup or as a ready-to-drink (RTD) beverage at all times. That way, you won’t miss the protein needed throughout the day. It is also important to have a whey protein supplement available for consumption after your workout. Consumption of protein around the time of your workout can improve recovery and muscle protein synthesis. If you are curious about what your personal protein goal should be, visit the GNC Protein Number tool and answer a few questions to get a customized recommendation. Respect your joints – Don’t let your ego write checks that your body can’t cash. When you lift weights, don’t try to show off or lift more than you reasonably think you can handle. Start low and gradually increase your weights and intensity. Stretch after your workouts to improve range of motion and flexibility. Perform joint stabilization exercises and warm-up properly. If you have joint pain, don’t ignore it. Get it evaluated by your physician. Avoid over use of anti-inflammatory medications that really just mask the pain. Arthritis pain can be avoided with proper lifting technique and avoiding impact activities. A certified trainer or physical therapist can guide you on exercises that can be beneficial for aching joints. Additionally, try supplements like fish oil, glucosamine sulfate and GNC TriFlex™ Comfort for joint discomfort.